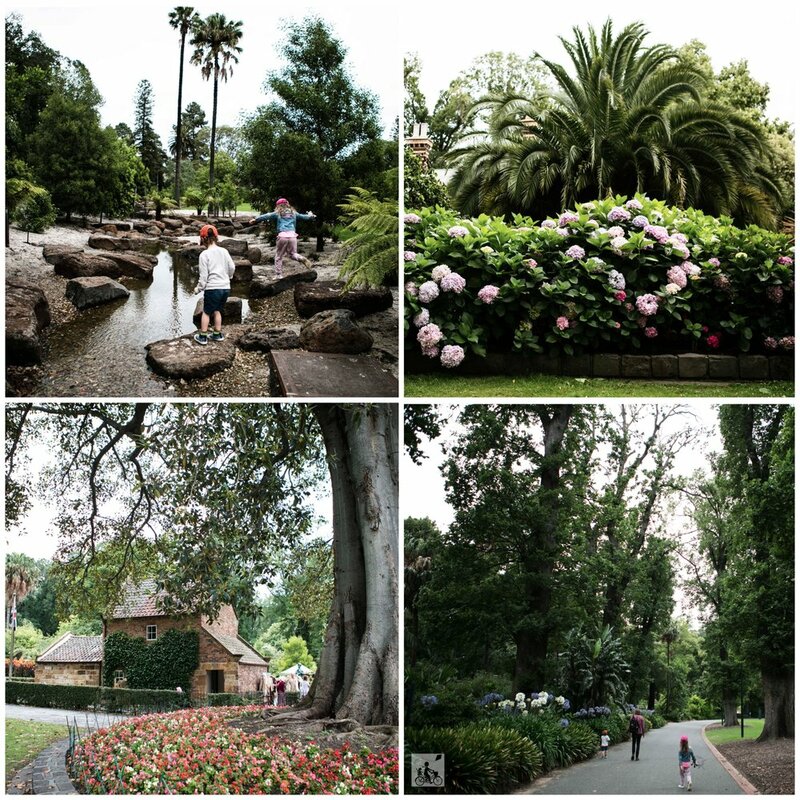 Mamma is ashamed to say that she hasn't explored these gardens since some school excursions way......way back in the day, with some foggy memories of a fairy village and Captain Cooks Cottage. Well, this place is all that and SOOO much more. These gardens are full of fun and adventure. Not only are the garden areas spectacular, but keep your eye out for waterfalls, fountains, rivers and secret pathways. You must enter the magical conservatory which at the time Mamma visited was bursting with huge colourful hydrangeas, then head over to the 'fairy village' which is actually a miniature Tudor Village - a gift from the UK after we helped out with food shortages after WW2. There IS the Fairies Tree, fairies and elves carved into a tree trunk by Ola Cohn in the 30's and was a 'gift to the children of Melbourne'. Stop by the Pavilion for a coffee and a milkshake then head STRAIGHT to the dragon playground. You will see it up the hill from the Pavilion. This huge Dragon Slide and Giraffe swing set will keep the kids happy for a VERY LONG time. If you still have time check out Captain Cooks Cottage for a glimpse into ye olden days and maybe don a dress up for the occasion. Mamma says you can spend a day here easily if you like, exploring or just relaxing and enjoying the amazing greenery. Mamma's special mention: For more city adventures see our mamma knows city page with some highlights! 15 minute walk from Federation Square and easy walking distance from the city centre. Free City Circle tram – disembark at Spring Street, Treasury Gardens stop. Tram routes 48 or 75 – disembark at Wellington Parade, adjacent to Fitzroy Gardens. Train – disembark at Parliament or Jolimont Stations. Visitor Centre – Open daily from 9am to 5pm, Closed Christmas Day. Cooks’ Cottage – Open daily from 9am to 5pm, Closed Christmas Day. Conservatory – Open daily 9am to 5pm (5.30pm during daylight savings), except when closed for the changeover of displays.